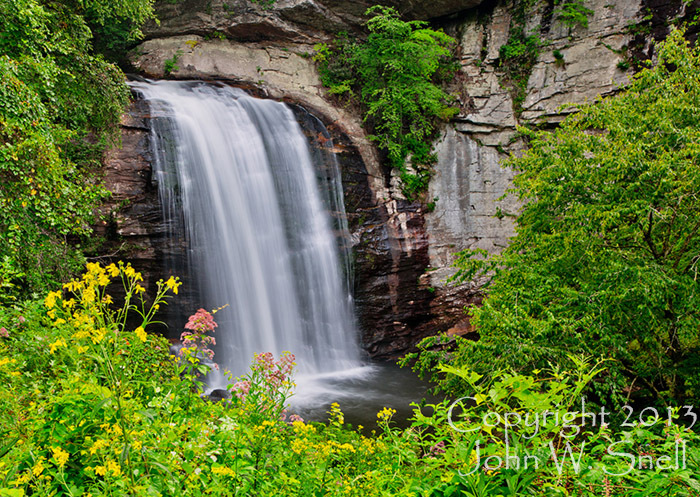 A testament to Looking Glass Falls' popularity as a picturesque photo spot and great wading/swimming hole is the 500-foot-long pull-off beside the falls. This location is approximately 9.5 miles east of the Blue Ridge Parkway on Hwy 276. Summertime flowers provide a colorful accent to this scene.